A large volcanic eruption shook Deception Island in Antarctica 3,980 years ago, and not 8,300, as it was previously thought, according to an international study published in Scientific Reports, in which researchers from the Institute of Earth Sciences Jaume Almera (ICTJA-CSIC) have participated. This event was the largest eruption in the austral continent during the Holocene (the last 11,700 years after the last great glaciation on Earth), and was comparable in volume of ejected rock to the Tambora volcano eruption in 1815. 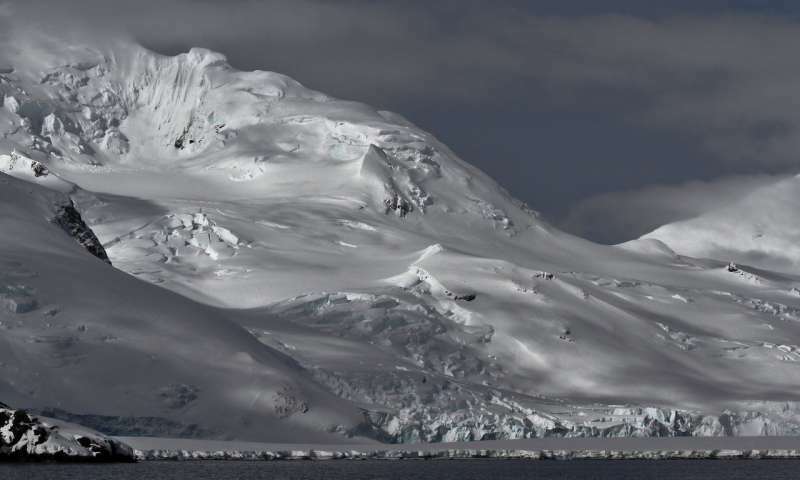 The eruption formed the caldera of the volcano, one of the most active in Antarctica, with more than 20 eruptions registered in the last 200 years. According to the new study, a volcanic caldera collapse took place 3980 years ago. The emptying of the magmatic chamber, the zone of magma accumulation that fueled the eruption, during this violent eruptive event caused a sudden pressure drop, triggering the collapse of the upper part of the volcano. As a result, a depression between eight and 10 kilometers in diameter was formed, which now gives Deception Island its particular horseshoe shape. The caldera collapse would have caused a seismic event of great magnitude, the traces of which were recorded in the sediments accumulated in the lake bottoms of Livingstone Island. The lacustrine sediment cores were recovered during the antarctic campaigns of the HOLOANTAR project, between 2012 and 2014. This fieldwork was led and coordinated by Marc Oliva, then researcher at Instituto de Geografia e Ordenamento of the University of Lisboa, and now Ramon y Cajal researcher at University of Barcelona (UB). Oliva is coauthor of this study. "The initial objective of the study was purely climatic, since we wanted to reconstruct the climate fluctuations of this region for the last 11,700 years using different proxies found in the sediments of the Byers Peninsula lakes, about 40 kilometers north of Deception Island. However, the presence of a different sediment layer in all lakes of the same age after a thick layer of tephra surprised us," said Sergi Pla, researcher at CREAF and coauthor of the study. "Later geochemical and biological analyses indicated that these sediments had terrestrial origin and were deposited abruptly in the lake's bottom. These results suggested the occurrence of a major earthquake that affected the entire area, and put us on the track that, perhaps, we were not facing a common earthquake but one generated by the collapse of the caldera of the Deception Island volcano. From here on, we pulled the thread," said Santiago Giralt, researcher at ICTJA-CSIC and co-author of the study. The exact date of the eruption was obtained using geochemical, petrological and paleolimnological techniques applied on the sediment cores from four lakes of the Byers Peninsula from Livingston island. These sedimentary records contained several direct and indirect pieces of evidence of the volcanic event that occurred on Deception Island. 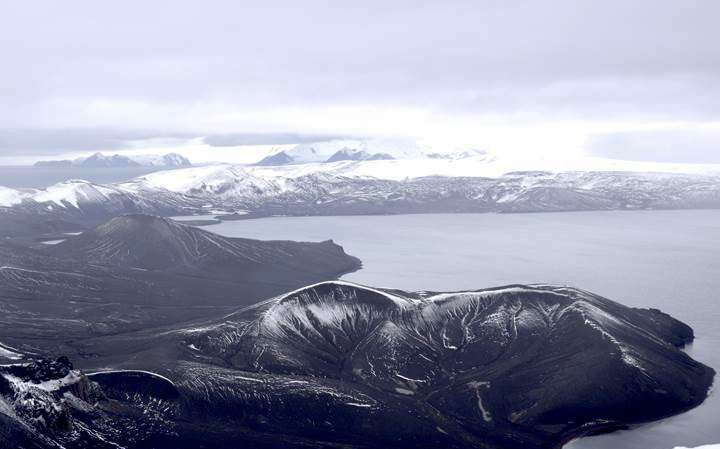 "The recovered sedimentary records showed a common pattern: First, the volcanic ash from Deception Island eruption, overlaid by a sediment layer almost one meter thick composed by material dragged from the lakes' shores to their bottom due to the large earthquake, and finally, the common lake sediments, which are characterized by an alternation of clays and mosses," said Santiago Giralt. One of the challenges was to characterize the origin of the ashes produced during the volcanic eruption. For that, pressure and temperature conditions of the magmas that caused this eruption were calculated using the ashes present in the sediment cores. "Using this methodology, we were able to estimate the depth of all studied samples and to determine if they were part of the same magma and eruptive episode," said Antonio Álvarez Valero, researcher from the University of Salamanca (USAL) and coauthor of this study. The study also estimates that the eruption had a volcanic explosive index (VEI) around six, which possibly makes it the largest known Holocene eruptive episode in the Antarctic continent. "This colossal episode of eruptive caldera collapse ejected between 30 and 60 cubic kilometers of ash, comparable in volume to the eruption of the Tambora volcano in 1815, an event that is attributed to a global temperature cooling that resulted in a series of bad harvests in Europe, in what is known as the 'year without summer,'" explains Adelina Geyer, ICTJA-CSIC researcher and co-author of the study. "It is very important to be able to date this type of eruption to understand the climatic changes caused by volcanic eruptions—in this particular case, at high austral latitudes," adds the Geyer. As suggested by the study, this eruption could have had significant climatic and ecological impacts in a large area of the southern region, although more studies and new data are needed to precisely characterize what the real effects on the climate of this large eruptive event.